My take on this borrowed from several elements: contemporary japanese style with the jacket, shoes and pants, kawaii with the bag, and kabuki theatre with the make-up. Highlighting the geisha inspired jacket over slim black pants. LpD's Kabuki style make-up with the oriental feel of the Glam Affair headpiece. 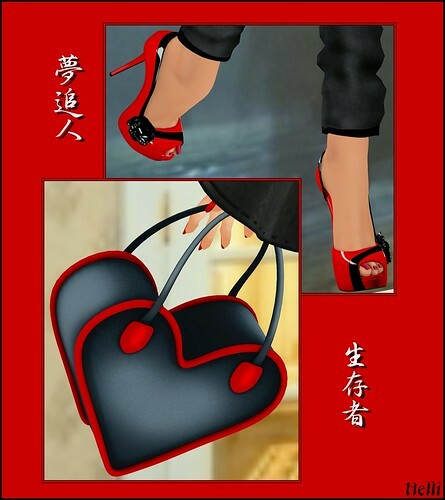 The Kawaii inspired bag, and glossy red/black heels with a flower highlight complete the look.